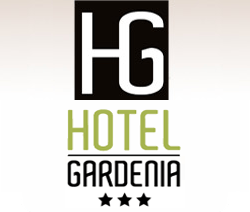 Hotel Gardenia rooms for your holiday in Italy. Our cosy and comfortable rooms, with their classic style and modest size, are perfect for anyone travelling on business; they come with the best technology available, such as free high-speed Wi-Fi Internet connection and Sky Gold, a mini-bar with one bottle of water free, telephone and flat-screen LCD TV, some with a safe. The room are all with wood floor and outer balcony houses inside a french bed., bathroom with shower and courtesy hair dryer, the heater/air-conditioner is autonomously adjustable. Elegantly and classically furnished, these rooms are equipped with every comfort: free Wi-Fi internet connection, Sky Gold, flat-screen LCD TV, a mini-bar with one bottle of water free, courtesy line, telephone, the heater/air-conditioner is autonomously some with a safe adjustable. The room with wood floor comes with a queen-sized bed or two separate beds and you’ll find a hair dryer, courtesy line and bedroom slippers (on request), bathroom with shower. Some rooms have an outdoor terrace and a spectacular view of the mountains and surrounding countryside of the Canavese region. With their peaceful, relaxing ambience and modern furnishings, our business rooms are large and equipped with recently-renewed services including a large shower, hair dryer and complimentary bedroom slippers. The large bathroom, Large, flat-screen LCD satellite TV Telephone in the room, mini-bar with one bottle of water free, Wi-Fi connection free (protected access), free SKY Gold, large desk with lamp, hot tea and coffee machine. Maximum relaxation: These rooms come with a king-sized bed (180×200 cm) , autonomously adjustable heating/air-conditioning. You can also have a relaxing hot tea thanks to the kettle You have in the room. Maximum silence: each room has sound-proof windows and a sound-proof floating parquet.